The Conjure Chronicles: What To Do When it's YOUR Name Being Burned Under a Candle??? What To Do When it's YOUR Name Being Burned Under a Candle??? 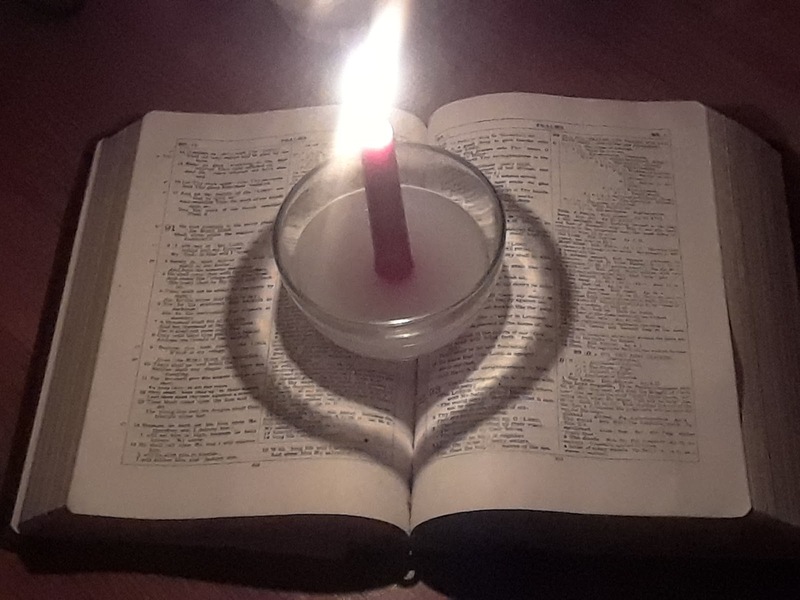 (Eph 6:16) "...You can extinguish all the flames of evil"
The use of candles and candle magic has been a staple in folk magic for a very long time. Candles can be used for every spell under the sun; Come To Me, Mastery, Steady Work, Healing, and all manner of things. We all know the basics: glass seven-day candle dress with appropriate powders, herbs, minerals, and oils - set it on top of a petition paper - light the candle - say your prayer - let the good times roll on...right??? But what about if you are on the other end of the ritual? Are you the target of another's will? What do you do? How can you break free of someone else's spell? Where are those obsessive feelings for your neighbor's wife coming from? Are you the target of her love spell? Perhaps you owe someone money and they are burning Pay Me Now on your name, how can you hold out just a little while longer? When you feel the heat of the "Hot Foot candle" under you to move, how do you cool their fire and douse their spells? What to do when it's your name the candle is being burned on?? (Job 18:5) Yea, the light of the wicked shall be put out, and the spark of his fire shall not shine. (Job 18:6) The light shall be dark in his tabernacle, and his candle shall be put out with him. (Pro 13:9) The light of the righteous rejoiceth: but the lamp of the wicked shall be put out. (Job 21:17) How oft is the candle of the wicked put out! and how oft cometh their destruction upon them! God distributeth sorrows in his anger. cause (a fire or light) to cease to burn or shine. "firemen were soaking everything to extinguish the blaze"
put an end to; annihilate. "hope is extinguished little by little"
extinguish (v.) 1540s, from Latin extinguere/exstinguere "quench, put out (what is burning), wipe out, obliterate," from ex- "out" (see ex-) + stinguere "quench," apparently an evolved sense from PIE *steig- "to prick, stick, pierce"
(Psa 91:1) He who dwells in the shelter of the Most High will abide in the shadow of the Almighty. (Psa 91:3) For he will deliver you from the snare of the fowler and from the deadly pestilence. (Psa 91:4) He will cover you with his pinions, and under his wings you will find refuge; his faithfulness is a shield and buckler. (Psa 91:6) nor the pestilence that stalks in darkness, nor the destruction that wastes at noonday. (Psa 91:7) A thousand may fall at your side, ten thousand at your right hand, but it will not come near you. (Psa 91:8) You will only look with your eyes and see the recompense of the wicked. (Psa 91:10) no evil shall be allowed to befall you, no plague come near your tent. (Psa 91:11) For he will command his angels concerning you to guard you in all your ways. (Psa 91:12) On their hands they will bear you up, lest you strike your foot against a stone. (Psa 91:13) You will tread on the lion and the adder; the young lion and the serpent you will trample underfoot. (Psa 91:14) “Because he holds fast to me in love, I will deliver him; I will protect him, because he knows my name. (Psa 91:15) When he calls to me, I will answer him; I will be with him in trouble; I will rescue him and honor him. 1) Open the Bible at Psalms 91. Place the empty glass bowl atop the pages of the open bible. 2)Take the candle that you will be using for this work and clean it with Florida Water. Rub the candle briskly between the palms of your hands to activate it. Pass it all over your body from head to toe, such as an egg limpia. Pray that any supernatural vexation or any other negativity be removed and transferred into the candle. The candle will lift and absorb all negative and dense psychic vibrations from your aura like a lint brush. 3) Dress the Candle with Holy, Uncrossing, or Run Devil Run Oil. Dust with Run Devil Run Powder. 4) Place the dime in the center of the bowl with the face upward. Sprinkle a pinch of sulfur over the dime. 5) Drip some hot wax over the dime in the bottom of the bowl to seal the sulfur and dime together. While the wax is still soft, position the spiritually 'dirty' candle so that it will stand securely in the bowl, ready to be lit. 6) Pour a little Florida Water (or add crushed cascarilla in its place) in to the bowl along with holy water (or blessed fresh water and Kosher salt) into the bowl so that it's roughly an inch deep in water and the base of the candle is suitably submerged beneath the holy water. 7) Burn Dragon's Blood resin on charcoal. Pass the bowl and candle through the smoke a few times asking God to snuff out the works of darkness currently operating in your life. If you are interested in Cosmic Alchemy's Spiritual Services inquire here. I hope you have enjoyed learning about this ancient spiritual technology until next time GOD BLESS YOU ALL FOREVER.